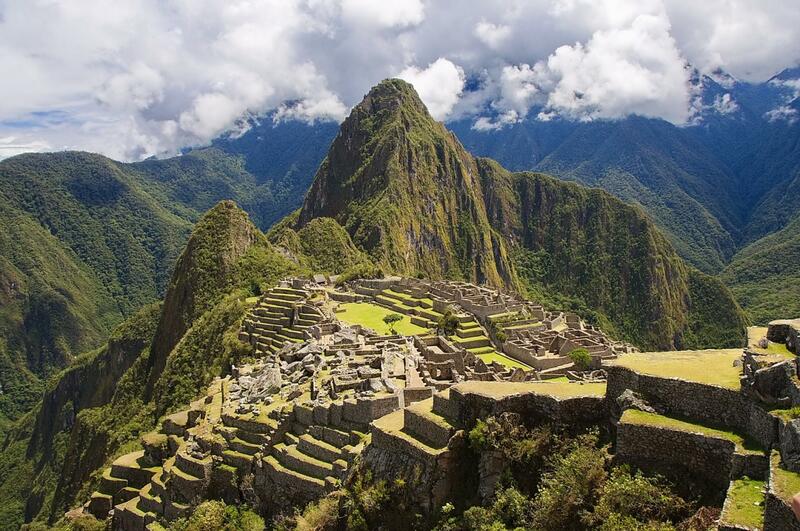 Mystical and Colourful Peru - 14 days in The Andes and Machu Picchu! 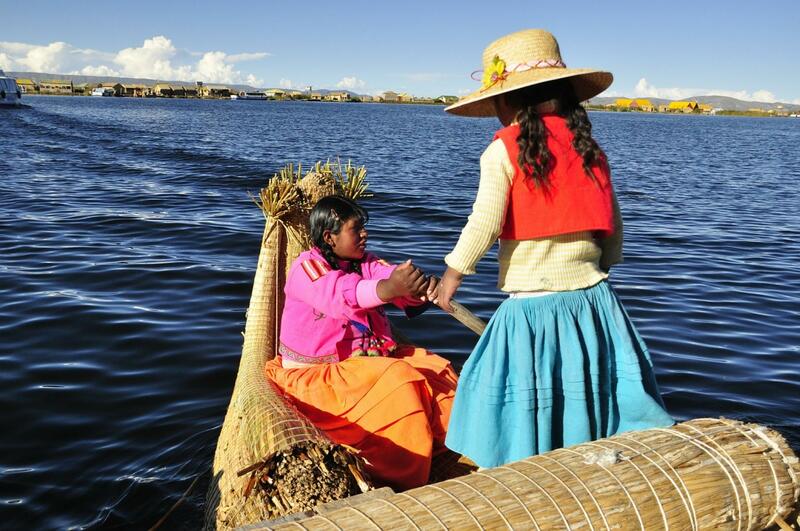 Discover the vibrant culture, ancient traditions, mysterious folklore, amazing architectural ingenuity, and colourful heritage of the Peruvian people in this 14 Day tour of Peru! 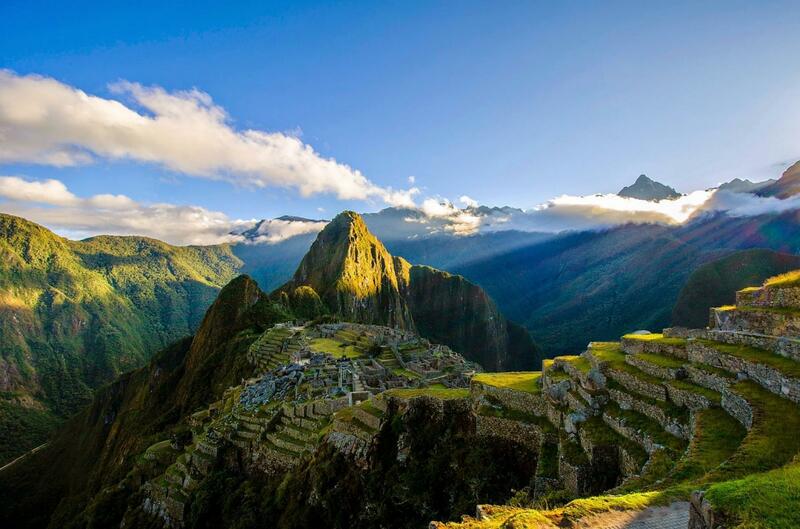 The culmination of this tour is your ascent into the citadel of Machu Picchu - declared a World Heritage Site by UNESCO, and voted one of the New Seven Wonders of the World in 2007. This tour will begin in Lima, the capital of Peru, where you will arrive in the city's international airport. 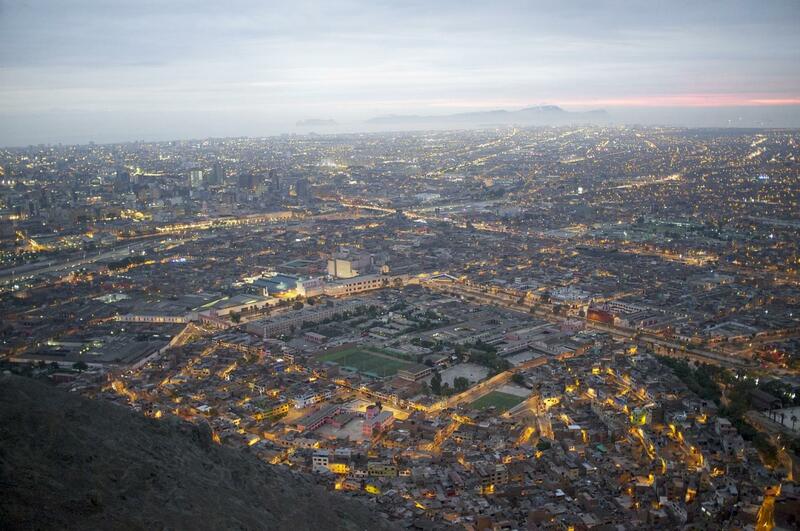 On the morning of your arrival we will begin a 7-hour guided city tour and culinary experience of Lima. You will be taken to historic buildings, monuments, and colonial and republican architecture and you will visit beautiful cathedrals, palaces, churches, a monastery and its catacombs, and the town square called the Plaza De Armas. The guide will also bring you to his mother's kitchen (literally) where she will delight your taste buds with gastronomic Peruvian cuisine. You will also learn how to make the Ceviche, a lovely Peruvian appetiser and the cocktail, Pisco Sour. After the tour, you will return to your hotel to rest and refresh before taking a overnight bus to Nazca, arriving in the early hours of the morning. You will board a small airplane at the airport to fly over the desert and see the famous Nazca Lines. These large ancient geoglyphs are believed to date from 500 BC to 500 AD and the longest is over 350 metres with over 70 designs of animals tress and flowers. The Nazca Lines was also declared a World Heritage Site by UNESCO in 1994. 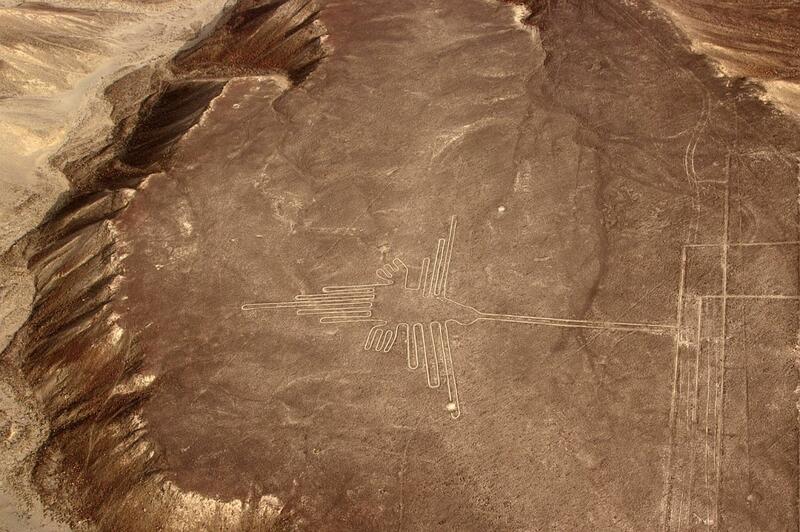 Nazca Lines, as seen from a plane, depicting a hummingbird. You also get to ride in a Dune Buggy and travel over the desert sand dunes and have a chance to sandboard your way down the sandy slopes of the dunes. An experience you probably will never have again. A hotel check-in will be available for a rest and freshening up as we will again take a night bus to get to our next destination - Arequipa. The 9 to 10 hour bus ride from Nazca to Arequipa will take us near the western coast of Peru for most of the way and it is best taken as an overnight ride. Very comfortable VIP seats with 160 degrees recline will allow you to sleep comfortable on this journey. A beautiiful coastal sun rise will likely greet you as you look out the window before we reach our destination around 9am. In Arequipa, we will check-in to our hotel and then go on a guided tour of this beautiful city, declared a UNESCO World Heritage Site in 2000. 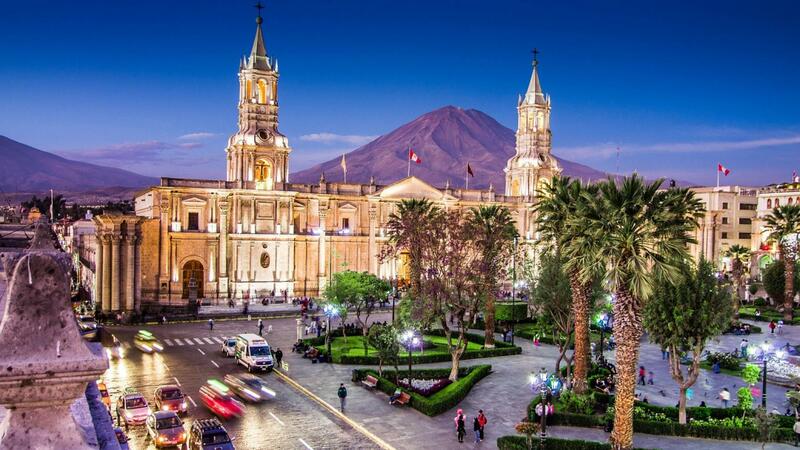 Arequipa is the second largest city in Peru, framed by three volcanoes. The city is proud of its contribution to Peru's gastronomic renaissance - so be prepared to try various classic dishes that originated from here. The guided tour will also take us to the famous Santa Catalina Convent which is like a city within a city and has an interesting history of the nuns that once inhabited this convent. 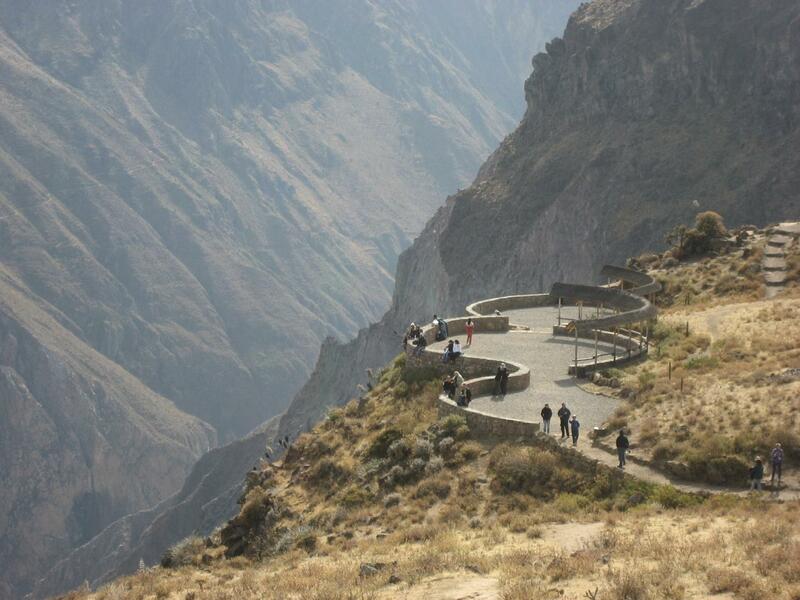 One of the many viewing points in the Colca Canyon - one of the world's deepest river canyon. 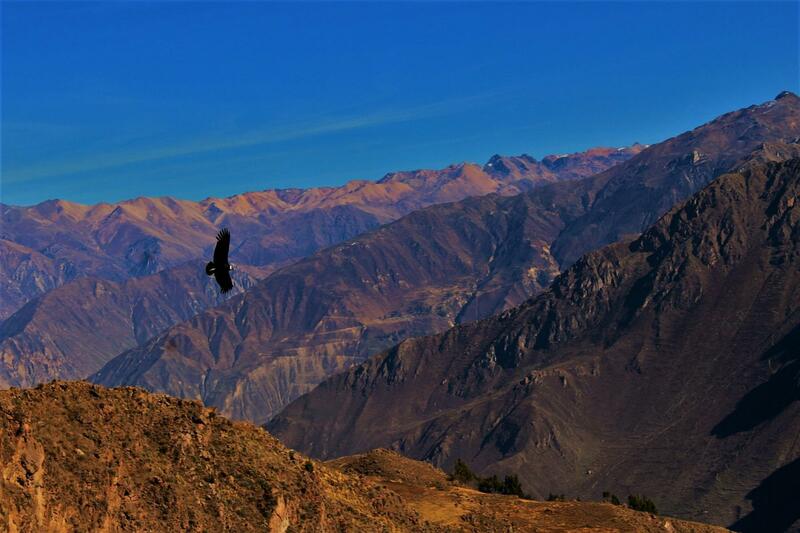 The next day, we will leave for the Colca Canyon where the main attraction is the spectacular sight of Condors flying overhead at various view points. These view points also gives magnificent views of the valley's villages, pre-Inca terraces, and the whole countryside. 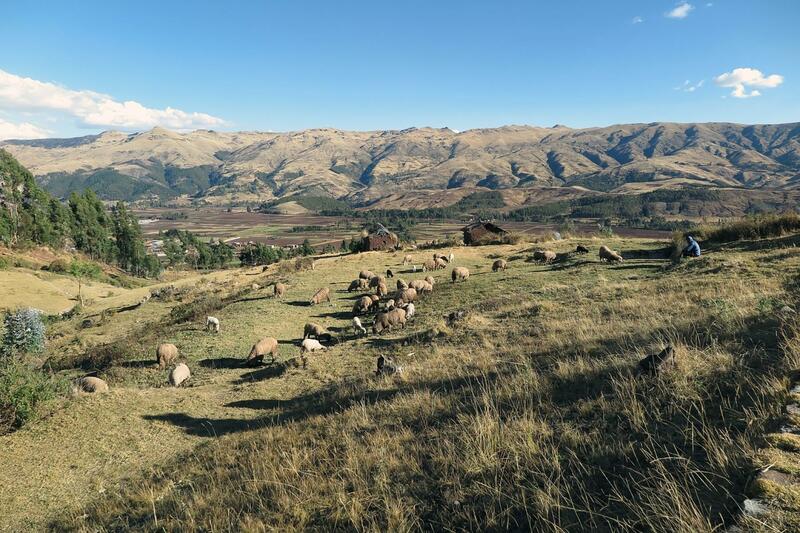 Our guide will also take us to Maca and Yanque, two interesting towns, with domestic and traditional animals and a beautiful hot spring - where you can take a soak if you want. The tour continues to Chivay, where there is an option to have a buffet lunch. After lunch, we will depart Chivay for Puno. 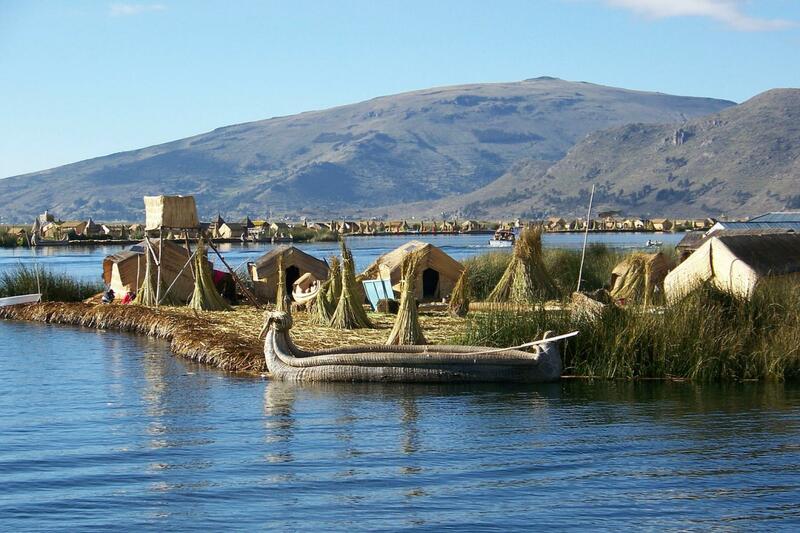 The next day, we will a board and travel on Lake Titicaca. Our guide will show us three islands and we get to make a visit onto at least one of the Floating Islands that is made of reeds. We will visit the inhabitants of these islands and get an experience of how they actually live on these islands with even the houses that are made of reeds. We will eventually make our way to Amantani, an island of 4000 inhabitants. We will have a homestay with a family on this island getting a chance to taste their traditinal cooking and have our meals prepared by them during our one-night stay. We will also get a chance to hike up a hill on this island and get an amazing panoramic view of the surroundind islands and the natural scenery. Dinner will be with the host family. If the weather is kind, we wil get a chance to view the open night sky. The next morning after breakfast, we bid farewel to the family and continue on our boat to Taquile Island - where we learn about the unique culture of the Taquile people. 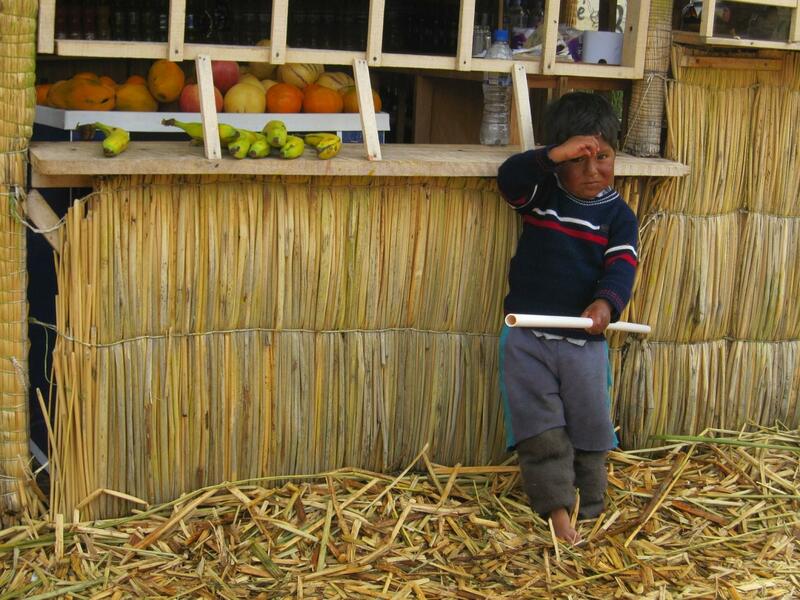 We will return to Puno after that in the afternoon. Everything is made of reeds on the floating islands. We will once again board a night bus (our last one for this whole tour) to make our way from Puno to Cusco - a 6.5-hour journey. We will arrive in Cusco at about 4.30am and check-in to our hotel. We will have the morning free to explore Cusco or if our hotel is ready, we can have some rest for the morning before our tour of the city after lunch. Our very knowledgeable guide for this tour will take us round the city by walking, and by this, we will discover its spell, visit traditional markets, old neighborhoods, the inca museum and the fascinating sun temple. 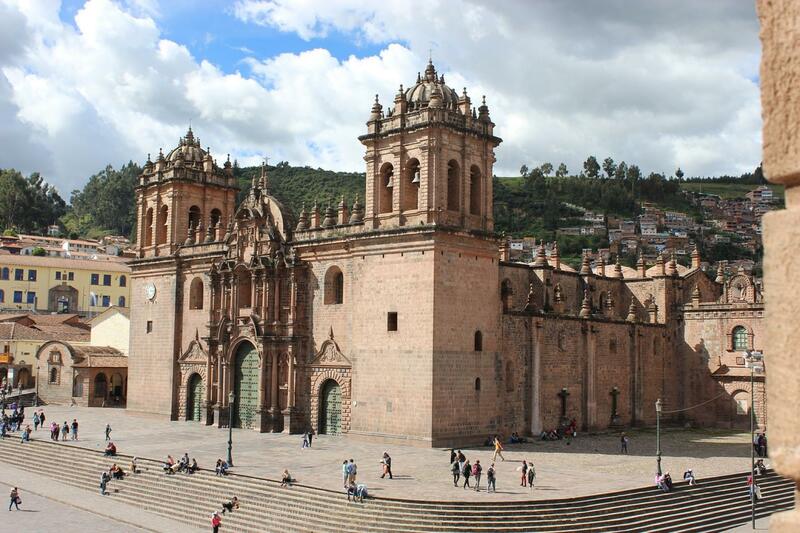 Cusco city is America's archaeological capital and it is the heartland of the Inca culture. After the tour, we are free to explore Cusco by ourselves. 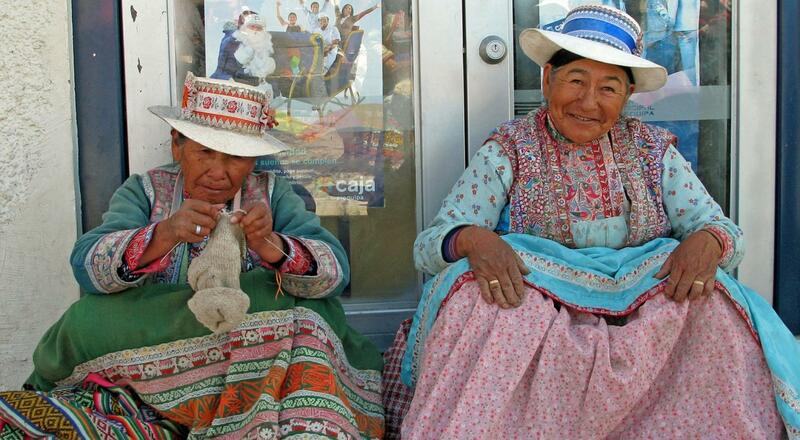 The next day after breakfast and at 8am, we will depart on the Sacred Valley Tour with the same guide. This tour will provide us with a good combination of archaeology, culture and history and we will get to see the farming terraces built at the banks of the Urubamba River, nice villages such as Pisaq and its market and archaeological park, Ollantaytambo and its archaeological park, Chinchero village and its fascinating colonial church that is the highlight of the tour, and where we will see murals from the 17th century. We will return from this tour to our hotel in Cusco. The next day we will leave early in the morning for Machu Picchu. We will board a train to the little town of Aguas Calientes ("Hot Water" in Spanish) which is the starting point for all tours up to the Machu Picchu citadel. During the scenic train ride, you will take in the jaw-dropping views of glaciers, snow capped peaks, lush green valleys and Incan farming terraces and ruins. On your arrival at Aguas Calientes, you will enter the subtropical forests region with flowering plants and ferns. You will then check-in at your hostel there and have the rest of the day to explore the area which has hot springs, waterfalls, the Mandor Gardens Natural Reserve and the Machu Picchu Museum. In the evening you will have dinner at Indio Feliz, the best restaurant in this little town (according to the local tour company). Breakfast the next morning will be about 5am which will allow us to catch the early shuttle bus (a 25-min ride) that will take us up to the Machu Picchu citadel and see the sun rise. You may also wish to hike up to the citadel which will take around 1.5 hours. 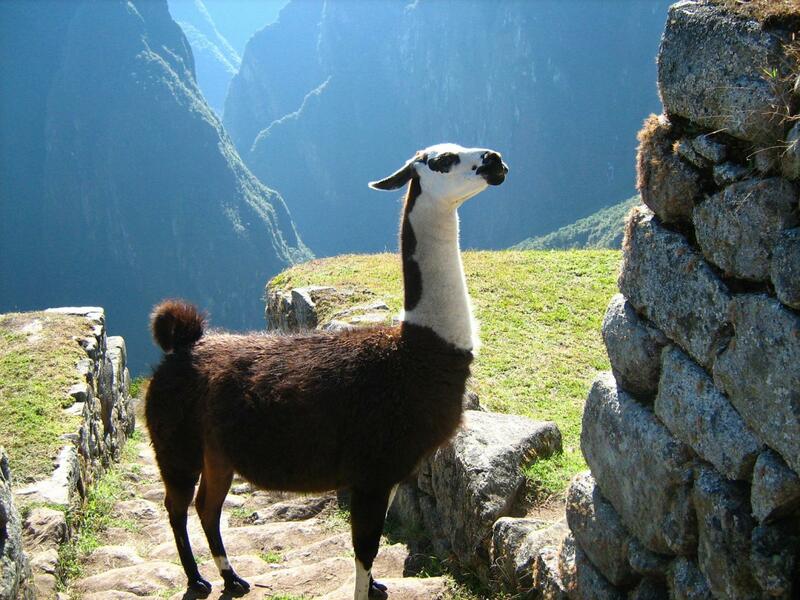 For some, this is part of the experience of Machu Picchu. 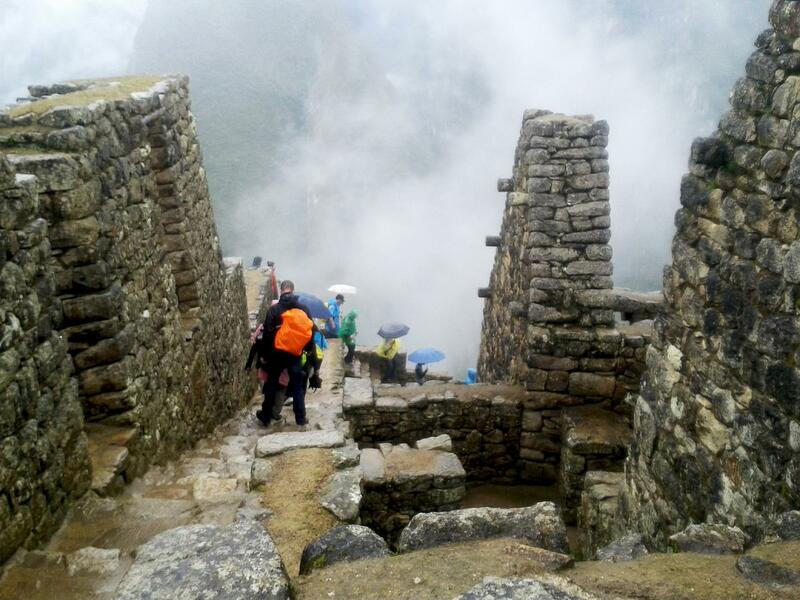 At the citadel of Machu Picchu, you will get a 2-hour guided tour and then the rest of the morning is a free and easy walk around this magnificent landscape - some finding a tranquil spot to sit and take in the awesome splendour of mother nature. From here, you may also wish to hike up to the Sun Gate (1 hour), or the short trek up Huayna Picchu or Machu Picchu Mountain - the latter two requiring climbing permits (US$35 and US$15 respectively) that have be arranged weeks before (*do let me know right away if you want to do this, so that I can booked the permits). Both treks up are steep but short climbs, 45mins for Huayna Picchu and 90mins for Machu Picchu Mountain. In the afternoon, after you have descended from the citadel by shuttle bus or a hike down, you will take the train back to Ollantaytambo where you will be trasferred by bus back to your hotel in Cusco. You will stay your final night in Peru at Cusco. You last day in Peru will be mostly in Cusco, and it will be a free day of shopping for interesting souvenirs, gifts, and exclusive Peruvian traditional crafts, fabric accessories, or food and snacks. In the late afternoon or evening, you will board a flight from Cusco to Lima (1hour 20min flight) where you will have some time before your midnight flight from Lima back to Singapore. **PLEASE NOTE THAT THE ABOVE DESCRIPTION AND IMAGES OF THE TOUR DO NOT TALLY WITH THE ITINERARY SHOWN BELOW. This tour is estimated to be around USD 2,642 for a group of 6. The price will be lower with a bigger group - up to a maximum of 8 persons. Once the number of people are confirmed, we will advised you on the payment in Singapore dollars. The current listed price is an estimation in Singapore dollars based on a group of 6. Due to exchange rate fluctuations, we can only calculate the actual amount to be paid in SGD when you are due to make the balance payment in your final payment. This is also after we have received the confirmed deposit payments and know how many is going for sure. Deposit of SGD 2,000 needs to be paid up by 29 Mar 2018. This will be announced once we have confirmation of 4 persons for the tour.